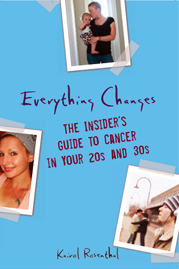 Everything Changes – The Guide to Young Adult Cancer » Did My BBQ Give Me Cancer? Did My BBQ Give Me Cancer? Is it because I ate too much charred BBQ when I was a kid? Because I hung out in abandoned steel mills with my friends in high school? Because I sprayed Miracle Grow on the patio tomatoes plants when I was seven? Do you have cancer because you always stood in front of your dorm room microwave which was right at the height of your nuts? I have talked to young adults in every part of the country and most have asked these inevitable ‘Where the hell did my cancer come from?’ questions. Statistics such as, less than half of all breast cancer cases are linked to known causes, have led most of us at sometime to scratch our heads over the big pink elephant in the room: The environment. It is likely that they will pass a breast cancer bill requiring research grants on environmental factors that might be related to breast cancer. It would authorize $40 million for the programs for each of the fiscal years from 2008 through 2012. Finally, a government I can be proud of. (Oh wait, those words seem to be getting people in trouble this year.) Ummm… Finally Congress, way to go!